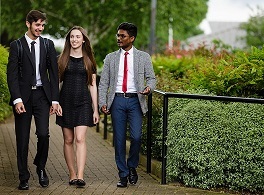 The progress made by students at Harlington Sixth Form has been rated amongst the very best in the country. Indeed, our students make better progress on A Level courses than that achieved at almost any other school in the borough of Hillingdon. Harlington Sixth Form teachers will be on hand at subject stalls to explain the content and method of delivery of their post-16 courses. Please note we do ask all young people to ensure they attend with their parents.